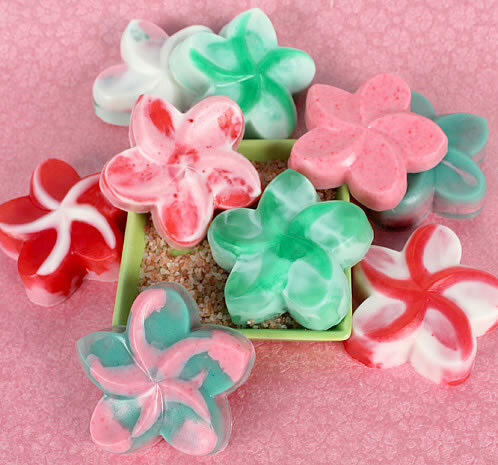 This recipe makes two pounds of beautiful Aloha melt and pour soaps! 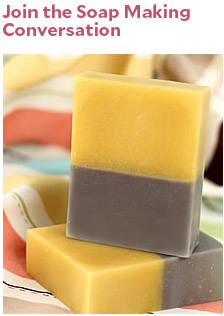 ONE: Cut your soap base into 1 inch cubes. Using a heat safe container, melt your soap bases in the microwave on 30 second intervals until fully melted. 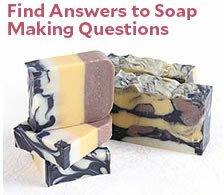 Once the soap is in liquid form, mix in your fragrance oil with a spoon. I combined the Island Coconut and the Tropical Vacation at a 1:1 ratio for a fantastic tropical blend. Fragrance oil usage rate for melt and pour usually ranges between .25 and .5 ounces per pound. 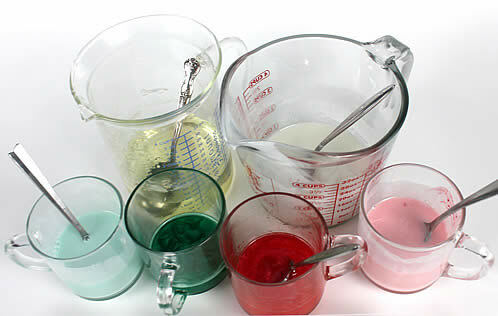 TWO: Once your fragrance oil is fully mixed in, add your colorants and stir well. Remember a little goes a long way and WYSIWYG (what you see is what you get). 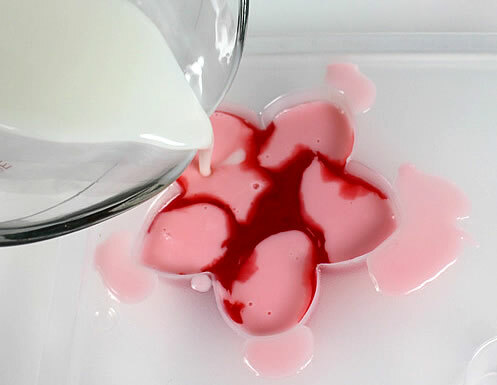 We usually recommend 1/8 teaspoon of colorant per pound of soap base but feel free to get creative with this part! 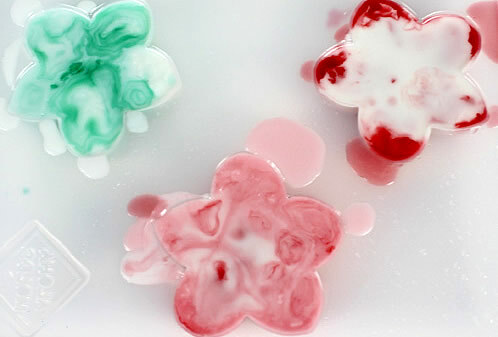 Coral and Shamrock Green are both oil soluble colorants so they do better if you mix the color ahead of time in your fragrance oil (otherwise, they speckle which is a cool design look, but might not be what you’re going for). THREE: Carefully pour your soap in the mold. 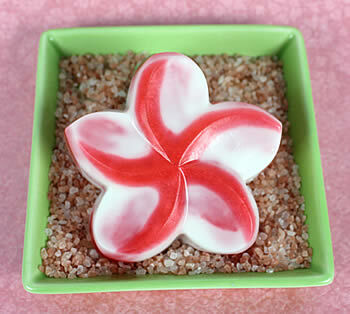 Use the Faux Funnel Swirl technique from this tutorial, Basic Layering, Melt and Pour Swirling, or any other melt and pour soaping technique that inspires you!